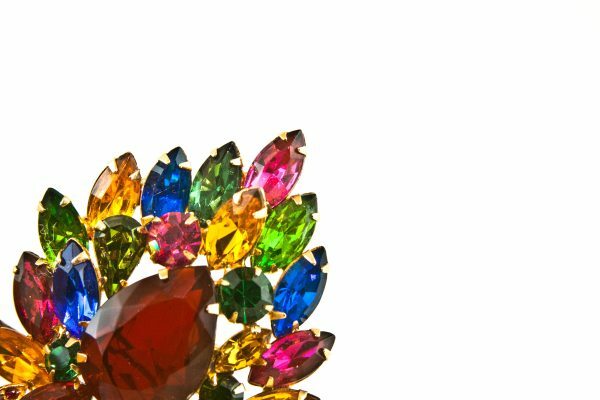 Multi-stone vintage rhinestone pin closeup stock photograph. Photo is a Digital Photograph - Not a print - Picture of antique rhinestone jewelry multi-color stones. on white background.